Dr. Mark Avetoom has been caring for families in the Tustin area for over 20 years. A 1988 graduate from the USC school of dentistry, compassion, integrity and outstanding cosmetic results are the cornerstone of our dental practice. Incorporating the latest technology, our state-of-the-art practice specializes in preventive, cosmetic, restorative and implant dentistry. Your visits with us are all about you – your happiness, your comfort and your dental health. Our philosophy is to advise patients with a view to long-term dental health. Among our most important functions is to educate our patients as to their treatment options. Dr. Avetoom and his friendly, professional staff strive to make each dental visit as enjoyable as possible and take pride in tailoring treatment to the individual patient's needs and preferences. 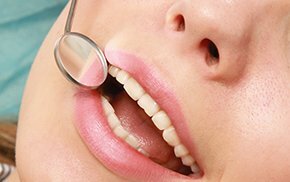 If you are looking for a highly trained and experienced dentist in Tustin, you have come to the right place. Our appointments are arranged acknowledging the importance of your time. Teeth whitening can be performed to reduce discoloration and staining, or simply to provide the patient with whiter, brighter teeth. 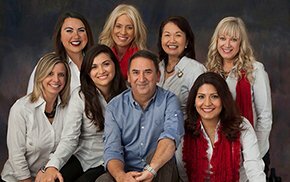 For more than twenty years, Dr. Avetoom has been proud to serve Tustin and the surrounding area with the highest quality dental care. We participate with most PPO insurance plans. To find out if we accept your plan, please call us. It is our goal to make your visit with us an extremely pleasant one and to send you home with a bright, beautiful and healthy smile.